Fiat Chrysler Automobiles (FCA) has a five year plan and it doesn’t involve the Chrysler 200 or the Dodge Dart, but it does involve a lot more Jeeps and Rams. http://www.autoblog.com/2016/01/27/dodge-dart-chrysler-200-dead-confirmed/. 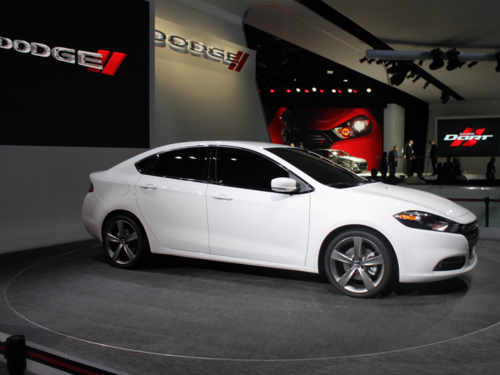 Last year was not a good year for the Chrysler 200 or Dodge Dart. The Chrysler 200 failed to earn Consumer Reports’ “recommended rating” and the Dodge Dart was not reliable at all with increasingly low sales. Which is a shame because both cars had lots of potential and a huge investment went into the Chrysler 200 and Dodge Dart series. Oh well. Rest in Peace. With the Chrysler 200 and Dodge Dart out of the way, FCA’s five year plan will increase production on their Jeep and Ram lines (see below link). I appreciate the logic here: With gas prices lower than they have been in a long while, and trucks and SUVs being pretty popular, banking on increased sales is a safe bet. In addition, a lot of R&D time and effort can be invested into the Jeep and Ram lines to keep improving these products. In fact, Jeep is already looking at adding two more power train vehicles and launching the Jeep Wrangler pickup model. Let’s face it: People love their Jeeps. Jeep fills a niche in the American market for off-road ready SUVS. Ram has plenty of fans, too. But this is a gamble that needs more than die hard loyalists. To make the change pay off, FCA needs to capture new consumers. Consumers who are used to “infotainment consoles” and six, seven or eight speed automatic transmissions. Consumers who are used to all the bells and whistles that Jeeps and Rams generally, historically lack. To be successful, the Ram will have to evolve and take sales from the beloved Ford F series. Which means FCA better bring their design A game for Jeep and Ram upgrades and redesign. Shutting down the fuel-efficient models is also risky given oil price instability. A sudden jump in oil prices combined with a huge redesign gamble may not pay off. In fact, it could be a disaster. All of us might say this is terribly risky, FCA, don’t do it. We might. Or we could recognize that crossovers, trucks and SUVs are more popular than sedans and appreciate FCA trying to cash in. That makes good business sense. Although, Chrysler doesn’t really have crossovers…but that is another discussion for another time. The decisions have been made and steps taken to move forward with FCA’s new five year plan for their Jeep and Ram lines. But what do you think? Too risky or good sense? At any rate, the DeLoreans are back! Replicas, anyway. According to the article, about 300 models are going to be produced. The first models should be available by 2017. Maybe by then we will have real hoverboards too, instead of the misnamed, two-wheeled death traps of fire.